President Donald Trump’s condemnation of the media and Donald Trump Jr.’s role in special counsel Robert Mueller’s investigation set the stage for several high-profile political appearances on cable news stations. 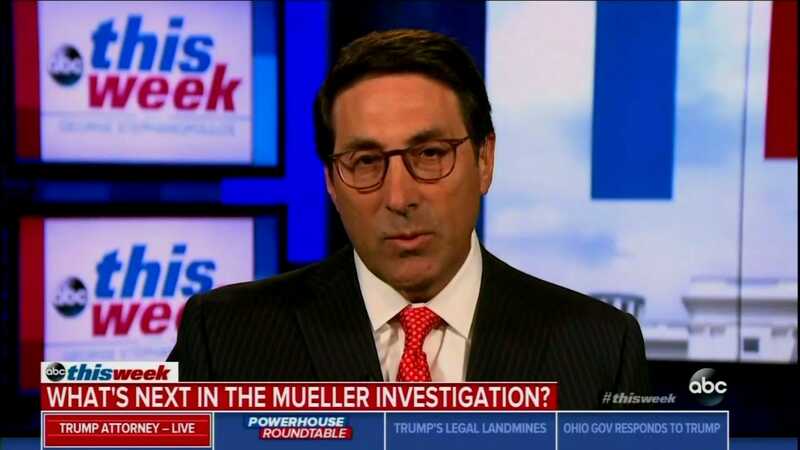 Screenshot via ABCJay Sekulow, President Donald Trump’s attorney. President Donald Trump’s attorney, Jay Sekulow, questioned the importance of the June 2016 meeting between Donald Trump Jr. and a Russian lawyer who Trump tweeted about on Sunday morning. In the tweet, Trump referenced “Fake News,” a term he uses to describe critical and unfavorable media coverage, and appeared to be responding to stories published the day before by CNN and the Washington Post. According to CNN and The Post’s anonymous sources, the president said his concerns over Trump Jr. have pushed him to issue critical public statements against US intelligence and the media. Screenshot via Fox NewsNational security adviser John Bolton. 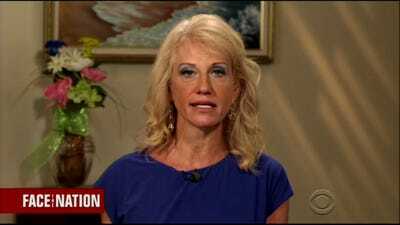 CBS NewsCounselor to the president Kellyanne Conway appears on CBS’s ‘Face the Nation,’ August 5, 2018. White House counselor Kellyanne Conway said she doesn’t believe the press is the “enemy of the people,” as President Donald Trump noted last week. Conway said Trump’s comments can’t be read with a “broad brush,” and although she didn’t agree with casting the media as the “enemy,” she offered a measured defence of journalists. Screenshot via CBSRep. 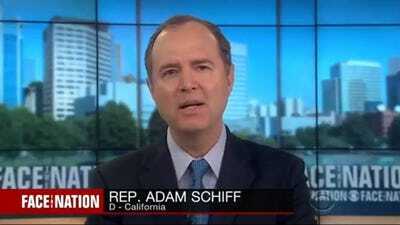 Adam Schiff appears on CBS’s ‘Face the Nation,’ August 5, 2018. 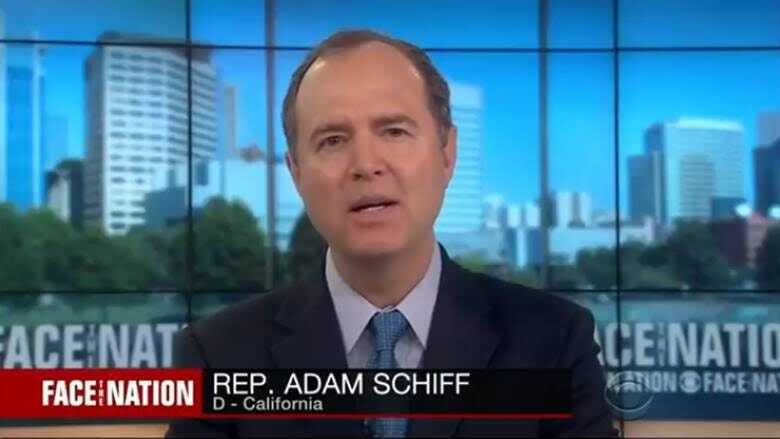 Rep. Adam Schiff of California said there was unmistakable evidence that Trump colluded with Russians during the 2016 US presidential election. 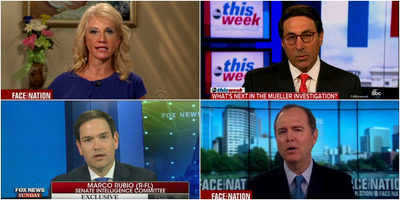 Schiff was responding to Kellyanne Conway’s previous segment where she claimed Trump’s description of a “witch hunt” and “hoax” referred to the view that Russia was involved with his election campaign, and not the US investigation of Russia’s election interference at large. 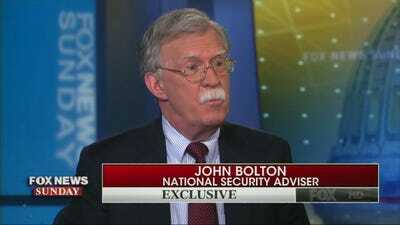 Screenshot via Fox NewsSen. 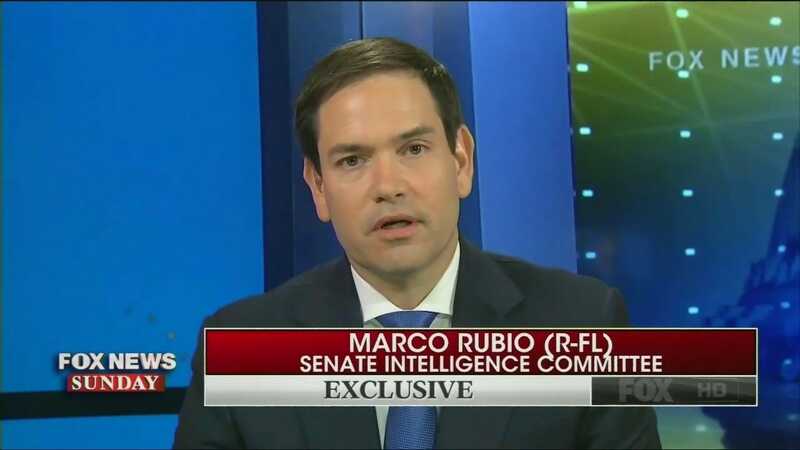 Marco Rubio of Florida appears on ‘Fox News Sunday,’ August 5, 2018. Sen. Marco Rubio of Florida joined several other Republican lawmakers who defended the special counsel’s investigation after Trump called for Attorney General Jeff Sessions to end the Russia probe.